I just thought I would post a few out of my military collection. 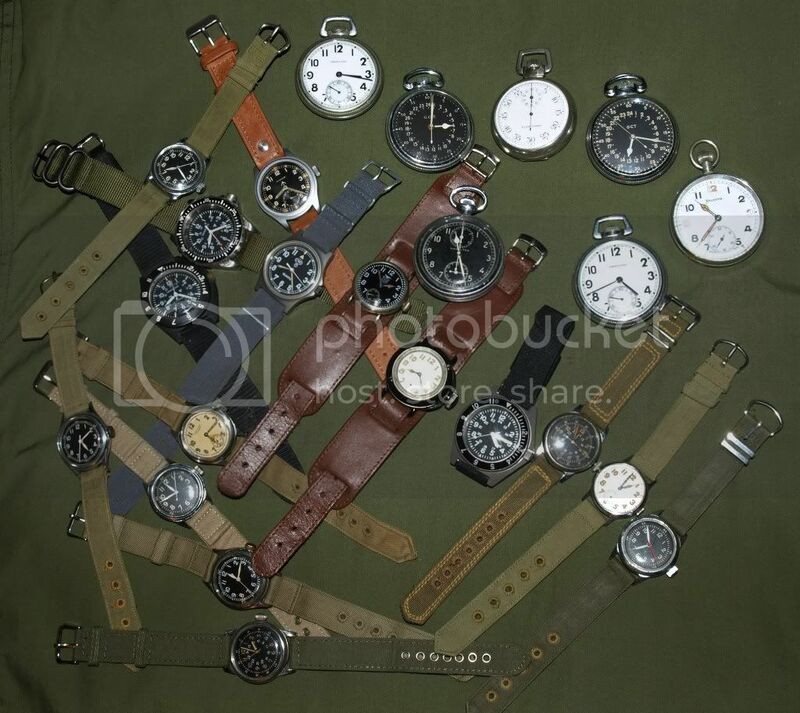 cool shot... groups are always a nightmare.... really like the 'Bulova' plane ones... quite small on far left....? Oh and the one horizontally across the bottom is lovely as well........is that the same one but with 2ghr dial..? kind of looks like a mini Seikosha...? That is a rare one. Some great old soldiers there, Mike. I particularly like those GCTs - I have often been tempted by them. I like the canvas straps too.